In this lesson we will expand the virtual world we created in Python with Arduino LESSON 3. We will be creating a virtual world that will track a simple scene in the real world. In this project, the virtual world will track both the position and the color of a target in the real world. This lesson requires that you have the Python software and libraries installed, which we explained in LESSON 2. 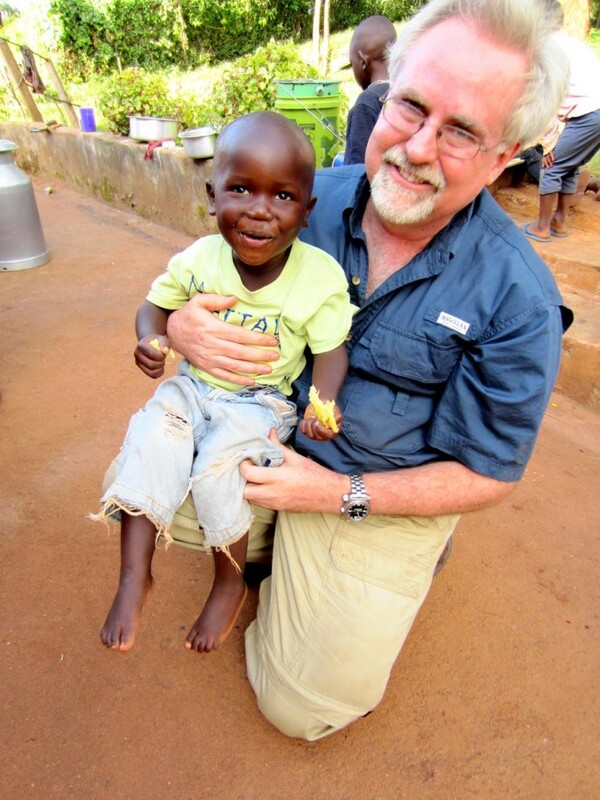 This Lesson will be a bit more involved, and I will take you through it step-by-step. I will need to break things into two parts. In today’s lesson we will cover the Arduino side. We will develop the software that will measure distance and color, and then send those numbers over the serial port. Then in tomorrows lesson, we will develop the Python software to create a really cool virtual graphic to display the data in a virtual world. For this project you will need the HC-SR04 ultrasonic sensor, the TCS230 Color Sensor, the Arduino Microcontroller, and some male/female jumper wires to connect to the color sensor. Detailed tutorial on using this sensor was described in Arduino LESSON 18, so we will not go through all the details of using the sensor here. Review that lesson if you need more help. Key point here is to connect it as seen in diagram above. You will also need to connect up the Color Sensor. 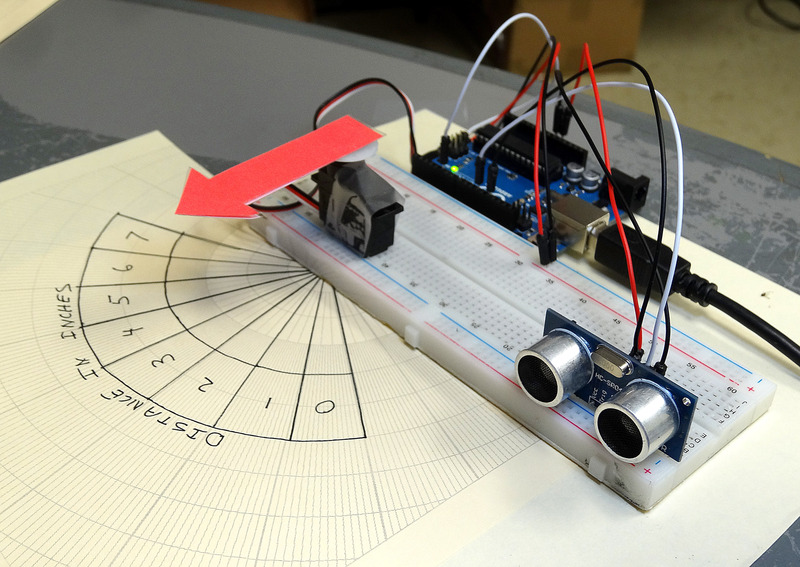 Use of the color sensor was described in detail in Arduino LESSON 15. You should be able to develop to write the software yourself based on earlier lessons to make measurements from both the Color Sensor, and Ultrasonic Sensor, but if you get stuck, you can glance at my code below. Again, it is important for you to write your own code and not copy and paste mine. Mine is just a reference if you get stuck. //value by 2. That is what this next segment of code does. //Now lets print our data to the serial monitor all on one line divided by commas. Notice that we are printing our color strengths and distance on one line separated by commas. It is important to note the order of the data. When we read this in Python, we will read it in as one line of text, and then we will parse it into its individual values. So, we must make note and remember the order the data is arranged in in this line. Remember when you have your python program reading this data, you must have your serial monitor closed. For now though, run your program and look at the serial monitor to verify you are getting correct data in the expected format. In the next Lesson, LESSON 5, we will build the Python program to create a virtual world from this data. 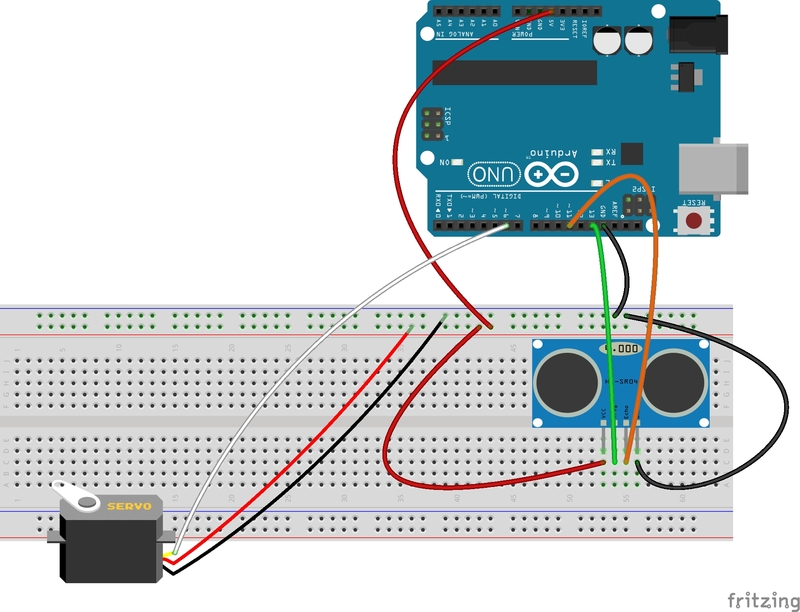 In this tutorial we will show how you can use Python with the Vpython library to begin to create some pretty cool graphics for presenting sensor data from the Arduino. 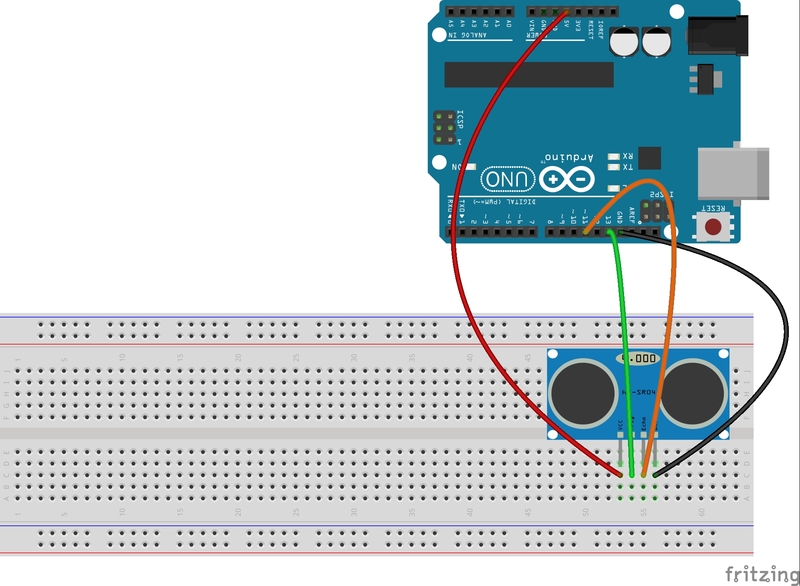 For this tutorial, we will be using the HC-SR04 ultrasonic sensor, which you learned about in Arduino LESSON 17, Arduino LESSON 18, and Arduino LESSON 20. Please review those lessons if you are not familiar with the HC-SR04. Simple Circuit for Operating the HC-SR04 Ultrasonic Sensor. Since the object of this lesson is to show what you can do using Python and Vpython, I will not go through the arduino code step-by-step. You can go back to the earlier lessons for more info on the HC-SR04 sensor. The code that will allow the sensor to make distance measurements is presented again here. The one thing to note is that since we are going to be using Python to graphically present the data coming from the sensor, we want to simply send the distance measurement over the serial port, and no words or anything else, just the raw distance measurement. This will simplify things on the Python side. Remember that when we do a Serial.println() command in arduino, we can read whatever is printed into Python, as we learned in Arduino and Python LESSON 2. The code below is what you need on the Arduino side. This code will be constantly sending the distance to the target out over the Serial port. On the Python side, our first task is to read that data in over the serial port. To do this, you must import the serial library. (Instructions on installing Pyserial are in Arduino with Python LESSON2.) You then create a serial object which will be used to read the data. In the sample below, we call the object ‘arduinoSerialData’. We then create a While loop that loops continuously. Inside that loop we check to see if there is any data available on the serial port, and if there is, we read it into the variable myData, and print it. Remember than in the line that creates the adruinoSerialData object, you need to change the com port to whatever com port your arduino is sending on. You can see this by looking under tools- port in your arduino IDE window. Also, this format is for windows machines. You would have to adjust for apple computers. It is important to remember that the command .readline() in Python will read a string, so we need to remember that myData is a string, and if we want to use it as a number we will need to convert it to a float, with something like distance = float (myData). Then distance will be a normal number, not a string. 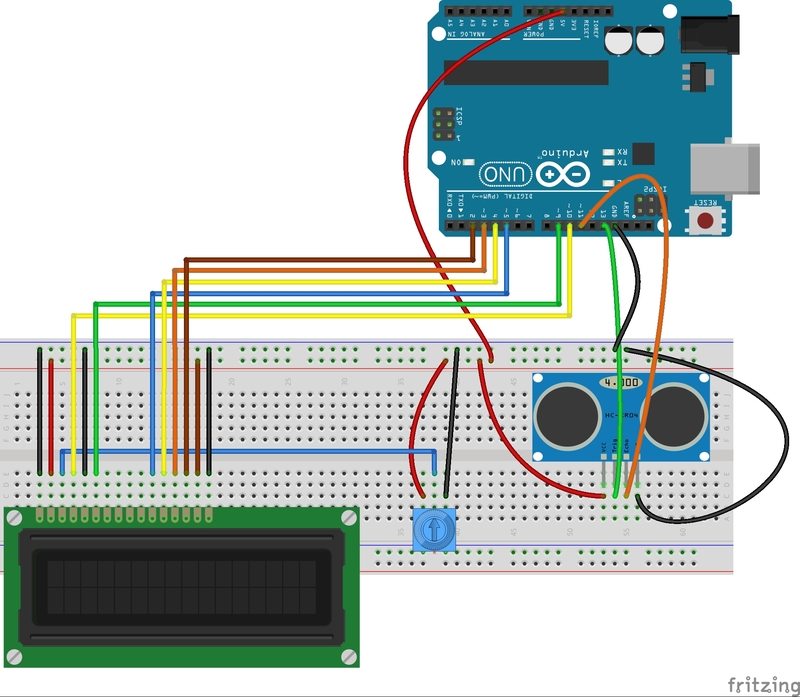 arduinoSerialData = serial.Serial('com11', 9600) #Create an object for the Serial port. Adjust 'com11' to whatever port your arduino is sending to. Lets keep playing around with this. The graphic will begin to look more like a’Virtual World’ if we create a box to represent the target we are using in the real world. I will make the box the dimensions of the real target, which is .2 X 3 X 3. Also, I will make it green, just like the target in the real world. In order to better fill our viewing window, I will move the cylinder down by about 2 inches, so its new position will be (-3,-2,0). For box type objects position is measured from the center, so I will need to also move the target box down by about .5, so it will coincide with the measuring rod. this is because 1/2 the target would be 1.5, and moving down by an additional .5 will make it coincide with the measuringRod. Play around with the parameters until you get something you are happy with. Also, you can change your view of the visual once the program is running. Right mouse click and you can change your positional view of the virtual world you have created. Press and scroll the mouse wheel to change the zoom. Also, if the discription in this lesson is confusing at all please just watch the video, and I will take you through things one step at a time. Be very careful connecting the circuit. Check your work, and it helps to work with a Buddy. Have one person looking at the schematic, and one looking at the circuit. Sometimes it is easier to get it right working in pairs. Now the objective of this project is to measure distance using the ultrasonic sensor, and then display that value on the LCD display. You should have the skills you need from the earlier lessons. Try and do this project on your own, but if you get stuck, you can look at my code below. As always, don’t copy and paste my code, but it should be used as a guide to help you write yours if you get stuck. LCD.print(" inches"); //Print your units. 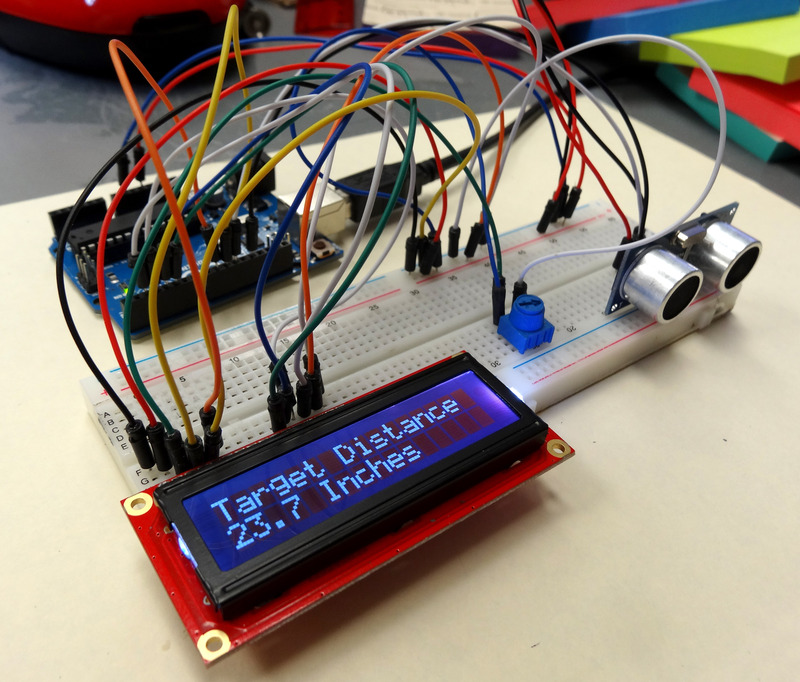 Your assignment is to get this project going, and show that you can measure distance and then display it on the LCD. After showing me your work, then you need to take the project in your own unique direction. What can you make based on what you have learned in the last few lessons. 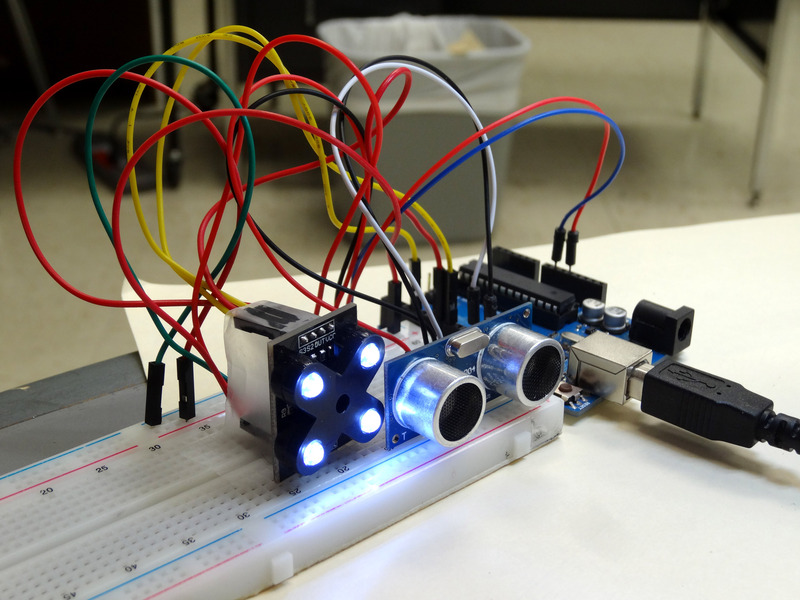 You should use some combination of Ultrasonic Sensor, LCD, and Servo to make a project or product or your own invention. You have the technical skills, you have the equipment, now go be creative! Now that we know the basics of Arduino from the first 15 lessons, we can begin to focus on more and more cool projects. This sensor is fairly easy to use. To hook it up, we take the sensor VCC pin and hook it to the arduino 5V pin. We take the sensor GND and connect to Arduino GND. The Trig pin on the sensor we take to pin 13 on the arduino and the Echo pin on the sensor we connect to the arduino pin 11. The sensor works as follows. You take the trigger pin LOW with a digital write. You then pause, take the trigger pin HIGH, pause, and then take the trigger pen LOW again. This LOW-HIGH-LOW sequence creates a high pitched ultrasonic tone, or ping, which is sent out from the sensor. This ping will go out and bounce off the first thing in front of it, and bounce back to the sensor. The sensor will output a HIGH pulse on its echo pin, and the length of the pulse in microseconds indicates the time it took the ping to travel to the target and return. We can measure the length of this pulse using the pulseIn command we learned in lesson 15.
distance = rate * time. This will then give rate in miles per hour, as you can see as the units cancel out. The video explains this in more detail. 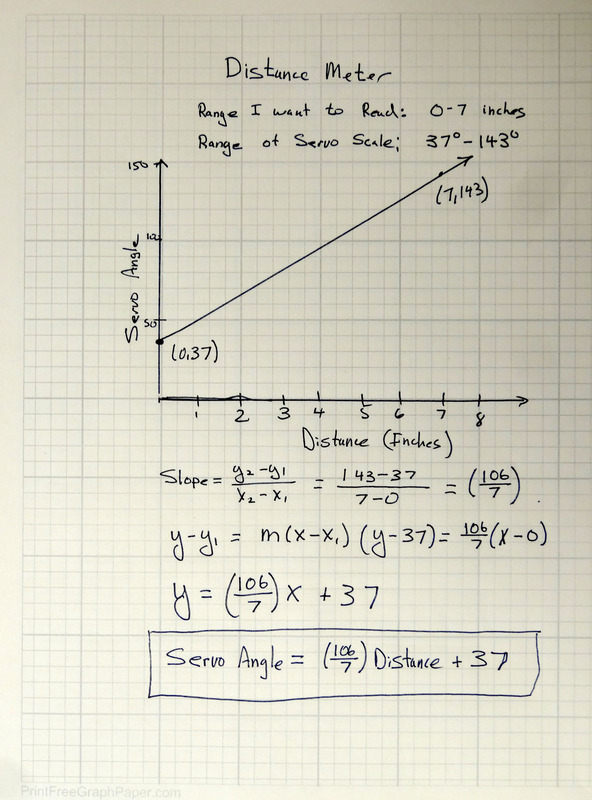 Key thing to remember in doing this calculation is that the ping has to travel to the target and then return. If the target is 6 inches from the sensor, how far did the ping travel? It traveled 12 inches. Six to get to the target and six to return from the target. 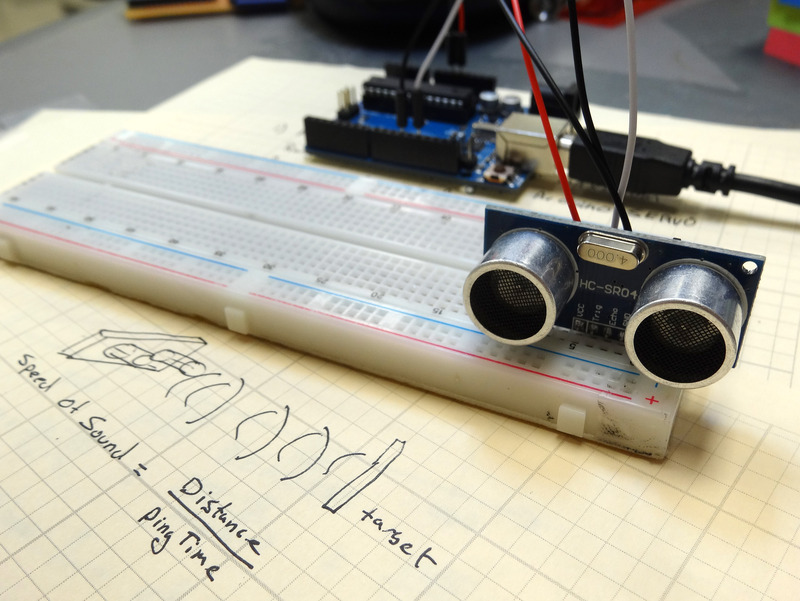 Try and put it all together into a program that will measure the speed of sound. I have included the code below. Try and write the program yourself, but if you get stuck you can look at the code below. It is important not to copy and paste this code, but only use it as a guide. You need to type your programs in yourself. Check this out and see how close it is to published values for the speed of sound. Pretty Cool!